We value all constructive feedback we receive about our professional services which includes both positive comments and negative comments. It would be entirely inappropriate for us to get into the details of your case. We do however note that you have not engaged with us at all in respect of our complaints procedure and if you are at all dissatisfied with the service this is the avenue that you should first pursue. Ultimately, if you are still dissatisfied with how we have attempted to resolve any complaint it is open for you to pursue the matter through the Legal Ombudsman. This is all set out in our terms of engagement and now that we have seen your comment we will send you a further complaint of our complaints procedure and details of the Ombudsman. We would be happy to meet with you at our offices should you wish, in order to discuss any complaint you may have about out services. 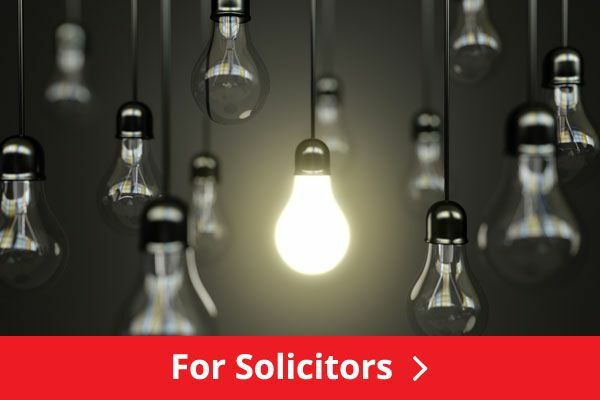 At this stage we of course emphasise that we offer the highest professional service at these offices at a fair and reasonable cost, in accordance with our terms of engagement,which you agreed to prior to instructing our firm. Further, we strenuously refute any suggestion that any member of our staff has been anything less than fully respectful and polite to you in all courses of our dealings. We are very concerned by this allegation, especially as our receptionist says that you were extremely abusive to her on the telephone when calling yesterday, using various expletives which have caused great offence. 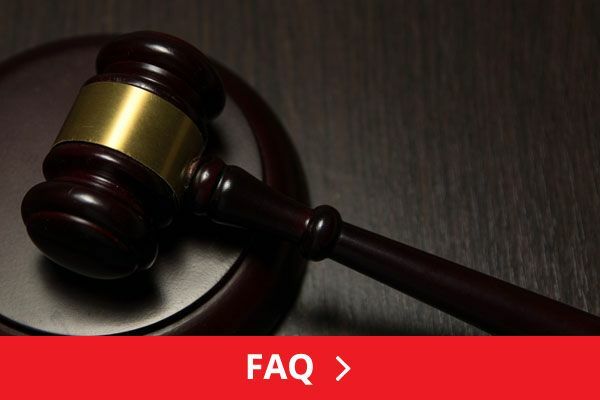 In summary, therefore, we would be glad to meet with you should you wish to pursue any complaint against our firm via our complaints procedure but of course any future dealings with our offices will have to be on the basis of mutual respect. I would highly recommend Alun if you are going through a divorce. I received a professional service from start to finish. Alun was friendly and approachable throughout my divorce. Thank you Alun. I paid Â£120 for an initial appointment with Alun at which point he demanded Â£3000 on client account. I paid. Three hours later I rang him and in the conversation he erroneously called me 'bizarre' and stated that he would not represent me but assured me that the client account funds would be returned. They weren't...He kept Â£800 of the funds even though on his breakdown sheet he acknowledged that he ceased to act for me within a couple of hours of being engaged. The breakdown I eventually received proved that he had continued to charge the account numerous times after the day he refused to act, including to answer my complaint. He ignored my complaint and I had to go to another solicitor to further the issue. Really impressed by Alun throughout. If you are going through a divorce, then I would highly recommend contacting Alun Jones. I would highly recommend contacting Alun Jones if you are thinking of going through a divorce. I received an excellent service. I did not want to choose a large national business, where I would be treated like just another divorcee. I wanted to get to speak with someone who had real expertise, I found that in Alun. So in a nutshell, a good law practice, where you get a personal service. Deserving of all the five stars! I received an excellent service from Alun. If you are going through a divorce, donâ€™t hesitate to use this business. Attentive to every aspect of my case. I think its fair to say that when your going through a divorce you will have many issues that you will need answers to as soon as possible. Canâ€™t fault Alun in this respect, we had many phone calls, got straight to the heart of the matter, and most of all is a genuine guy. I hope I donâ€™t need advice relating to the divorce process again, but if friends ask me who to go to, well thereâ€™s only one solicitorâ€™s name I will be putting forward. Best wishes, and all the best to you Alun. I had some one there for support when I needed it. Each part of the process was explained to me in a way that made sense and gave great guidance at all times. I would highly recommend Alun Jones Family Law. From start to finish I found the team to be friendly and offer a highly professional service. Alun quickly got to grips with what I wanted to achieve, and throughout offered advice that was easy for me to understand. All advice that I was provided with was carefully reasoned. All messages were answered promptly and this allowed me to feel as though I was in control over the process. I was able to make decisions much more quickly, as the advice required was always promptly sent into my inbox. Using a different law practice in the past, its far to say that some lawyers can sometimes be rather cold, and to the point. Instead I found Alunâ€™s service to be much more personable and friendly. Also Alunâ€™s advice, whether it be in person, or via e-mail exchanges, you can see that the advice is based on many years of experience. Thank you Alun for the service that was provided to me, I wish you all the very best. I would highly recommend this business. Every single correspondence that I sent was followed up very quickly. When meeting in person I got the impression that Alun understood my case inside out, I did not need to reiterate on any of the important details. I also acknowledged that from the very start that Alun was pushing for a fair settlement, and to this end, matters were finalised sooner than if I had chosen another business. Alun has a calm manner, which allows you to digest information, during what I found to be an extremely stressful time. 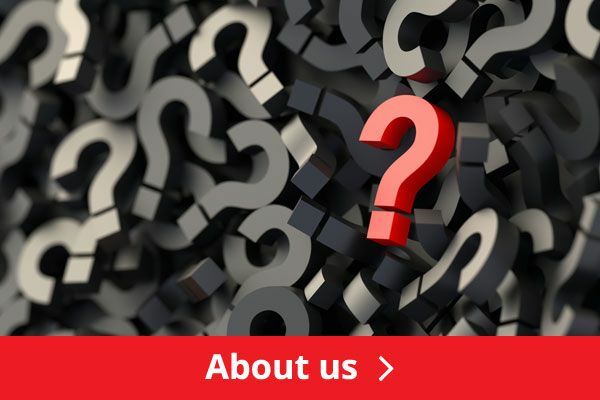 The team are all highly experienced, you can see that they are a diligent group, they are also specialists, so they are not jumping between different areas of law. Simply put they are advertised as "divorce specialists" and thatâ€™s what I found them to be. Thank you Alun, most grateful to you. I would strongly recommend this family law practice. I received a fair outcome, that I know only come from Alunâ€™s hard work. I got the impression throughout that this law practice does really care about obtaining a fair and just settlement. I received prompt responses to all my messages, the responses were clear and easy to understand. First rate service. Well done and thank you. I would definitely recommend Alunâ€™s family law practice, thatâ€™s if you are unfortunate enough to have to go through a divorce that is. Alun makes all the options that are open to you clear within the very first meeting. If you can opt for collaborative law then do just that. For me I didnâ€™t have the annual leave to keep taking multiple days off work to attend court. So collaborative law is more flexible, I then met with Alun at a time best suited to me and my former spouse. Saved a ton of time using this approach, and I didnâ€™t want the divorce process hanging over me, so using this method helped. We were able in the very first meeting to establish some common ground, the rest of the meetings then we concentrated on each of the big issues, finances, house etc. Friendly team, its the small things, like being asked if you want tea / coffee and the welcome that made the process easier. If youâ€™ve been through a divorce, you will learn that once the augments start to subside, and you both focus on the common goal of a fair outcome for both sides, then the conversation flows and the process becomes almost business like. Would recommend you Alun to friends in the future, you made a difficult time a lot easier, thanks for all your help. Alun came highly recommend. After using the business, I would also recommend. I received an excellent service from this company. All messages and questions were answered promptly, I received the level of support that I needed. Friendly team who will make you feel welcome. My divorce lawyer had a calm approach which definitely allows you to take onboard what is often complex information. They also fitted my meetings around my work schedule, which I appreciate immensely. Five stars and grateful for the service received Alun. Excellent service. Our solicitor was friendly and professional. I would recommend this business. Friendly, approachable, cost effective. I would recommend opting for the collaborative legal approach if you are going through a divorce. Attended 2 free 30 minute sessions with other law firms, they didnâ€™t explain this option with much clarity. Easy to deal with. The advice I received was spot on. I liked to fact that throughout serious effort was made by Richard to reduce hostility between me and my former spouse. I think he saved us a lot of time. Five stars. I write this review as the last chance of ever seeing any of my money ever again, I would give less than 1 stars if I could. This solicitor was recommended to me when my husband left me. I went down for a chat and was promised an "all in" divorce for an upfront payment of Â£1000. I paid this. In fact I borrowed money from family to pay this. One flat fee to cover my divorce I was promised. That later proved not to be the case. Time went on, and on, and on, we are over 2 years later and I am still not divorced, no progress has been made, poorly written, grammatically incorrect letters sent to me was all I have ever received, they even got the sides of the case wrong, referring to me as MR, and my ex-husband as MRS. Trying to contact Alun is impossible, I was told email is preferred, only for them to be ignored, I try to phone them and I am told I will be charged for Alun taking my call. I expressed that unless some progress is seen I want my money back. I was ignored again. I went to the ombudsman, who said before anything else I need to try to speak with them. You guessed it, ignored again. There is also the mysterious "Helen", who I have received emails from, yet when you try to reply you get a "cannot be delivered" error, which means the email does not really exist, it is called a alias email I am told. So avoidance in the highest order. "Helen" was kind enough to send me the complaints procedure, yet nothing since. Even though I attempted contact with "Helen" to start the complaints process. Again, a bounce back saying the email cannot be delivered. Strange. So I sent the email to begin the process direct to Alun, and that is the last communication, Alun never replied. So, I am still not divorced, the whole situation has left me Â£1000 out of pocket, I cannot afford to pursue any other means of divorce, so a man gets away with walking out on me and 2 children through another mans actions. He promised me I would be divorced, took my money and run. And he played on the fact he is from the same valley as me, used this to gain my trust, then took my money, my family's money, and left me stranded. Frankly avoid at all costs, the stress he has caused me has made me ill. I have no defence against my ex-husband and the man who promised to see me through my divorce, "all in" for Â£1000, is nowhere to be seen. He hasn't contacted me, attempted to contact me, sent me a letter, nothing, in over almost 10 months. I can only say I hope firms like this are pleased with themselves, this has ruined my life. I have asked for my case to be returned to me. Ignored. I have asked for contact. Ignored. I have asked for my money back. Ignored. Please do not use this firm for your divorce, it has ruined my life. And before the inevitable reply comes, all the above I can prove, over and over again, this is not a ranting review in the hope of a dust up with the afore mentioned solicitor, it is to warn people of the damage done to my life by this firm. We note from your review that we were recommended to you. We are pleased to confirm that this is how we receive the majority of our work. We consider that this is a good indication of the service we provide. The Company takes feedback, both good and bad very seriously and it is regrettable that you have felt it necessary to post this review, especially given that we have not heard from you since our letter to you dated 22nd June 2017 when we wrote to you about your compliant and sought to address it. Indeed, our offer for you to come to the office to discuss your case remains open should you wish to. However, in spite of your comments it would be fair to say that on several occasions throughout your case we have sought your instructions and you have not engaged with us. This makes it extremely difficult to manage any legal process. However, when we have received your instructions we have acted upon them in accordance with our terms of engagement and in good time. Our terms of engagement are fully transparent especially when it comes to our charges. 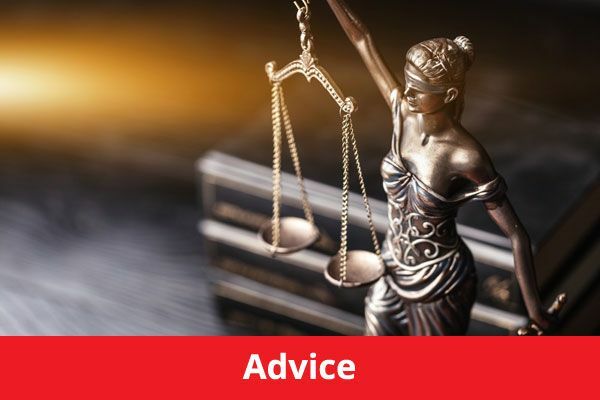 Everyone who comes to see us for advice is provided with our terms in advance of their first appointment and we clarify our fees going forward. We do not offer â€œall inâ€ services but do have extremely competitive fixed fee services available. On your case a further 25% discount was applied to the solicitorâ€™s hourly rate. We would also strongly refute any suggestion of the use of â€œaliasâ€ emails also the implication that this firm has ever sought to avoid dealing with you. do contact the office so that we can make arrangements to discuss this with you and for you to collect your file and the remaining balance held on your client account. Amazing what leaving an honest review does. Sadly playing this out in the public domain has led to actions, as for communication with you I have said all I need to state here on this forum, I have made clear my request, as stated in previous attempted communications to you, you have my address, I have formally requested my case file and the money owed to me, please take the postage out of the balance and send the case file and the money owed to me as a matter of urgency. Please make the payment out to myself, in a form that I can cash, a cheque or bank draft will suffice. I will await the delivery. Alternatively, for fear of postal delays, can be please advise which day my case and money will be ready to collect please? I will ensure they are collected, this week preferably. Please advise which day. I will await you reply. We wish to reiterate that you have not followed our formal complaints process, a process which remains open to you should you wish to pursue it. Meanwhile,W we will now copy your file and send it to you with balance monies due to you this week. I will await the delivery of my case file and money owed. A highly professional law practice. I felt as though every detail was carefully listened to, the advice I received was clear and reasoned. Richard went out of his way on several occasions to provide a service that I believe went above and beyond. I feel that if it wasnâ€™t for Richard, the disagreement I was facing could have quickly escalated. I suppose the words I am looking for is that they are expert negotiators. Thank you Richard. Very professional. Everything was explained clearly. Would recommend. I was consistently impressed during my meetings with Alun. Friendly from the outset, yet not afraid to challenge you, so that all options that lay in front of me become much clearer. I would definitely recommend. I genuinely thought this guy was going to help me out. I got nothing in the end except a big (massive) bill and his happy face saying 'well that's life'. Well I went to another firm in Cardiff and they were miles better. Like the others said, Avoid. Reasonably priced on initial meeting (hooks you in) then sadly lacking in professionalism when it counts throughout. If you need a real fighter/smart go-getter/ highly intelligent negotiator for your case, please go elsewhere. We all know profit is the end game with most solicitors....Alun Jones Family Law makes Del Boy seem legit! Avoid at all costs. I had one appointment for just over an hour and was charged Â£125 and then he took Â£600 for the same appointment. I had exactly the same thing happen to me. The most expensive hour of a solicitorsâ€™ time ever. I was stonewalled when I repeatedly asked for their complaints procedure. Itâ€™s difficult to understand how this firm are rated well by anyone considering the blatant sharp practice. Life has never been better since using this illustrious firm! Great service, reasonable charges and highly recommended.